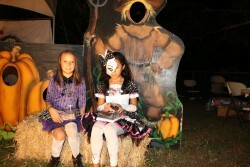 In conjunction with the HallowHim Festival in the Kaunakakai Ball Park, this year Heart of Aloha Church partnered with the Maunaloa Community to have one at the Maunaloa Community Park. We envision a festive and vibrant community celebrating the love of God through his son Jesus Christ by reflecting His light on a dark night. Good news to both those who were able to attend and those who missed the Revelation of Hope Seminar conducted by Keoki Gandeza Aug. 22 to Sept. 5. We will have follow-up video presentations conducted by Taj Pacleb, an evangelist who conducts evangelistic seminars at least seven times a year all over the world. He was born and raised in Hawaii, and it is his passion to preach the prophetic truths contained in the books of Daniel and Revelation and the whole Bible. 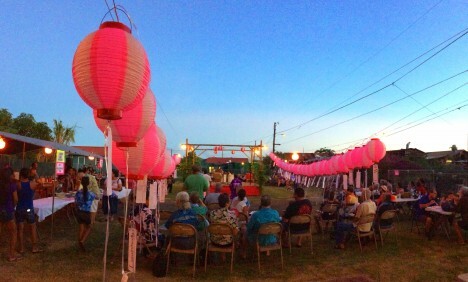 Last Saturday at Molokai’s Guzeiji Soto Mission, families gathered together to keep the memory of loved ones and the traditions of Japanese culture alive on Molokai. The island’s annual bon dance brought more than 100 residents and visitors together for lively drums, dancing and good food. This week, the Molokai Seventh-day Adventist Church will be hosting a two-week seminar to explore and study the Bible prophecies found in the book of Revelation. Local boy Keoki Gandeza, associate speaker from Revelation of Hope Ministries, will guide the community through a study of the book’s symbols and the messages they hold for today’s world. Heart of Aloha Church invites the community to take part in a Free Family Movie Night on July 24 on their open air church property in Kualapu`u. The featured movie is called “Little Boy” and is made possible through a partnership with Trinity Broadcasting Network. Food booths will be open at 5:30 p.m. and will be selling popcorn, drinks, malasadas, and Chinese food plates with the movie following at 7:30 p.m. Please bring your own mat, blanket, beach chair, etc. as these will not be provided. To the people of Molokai, aloha! 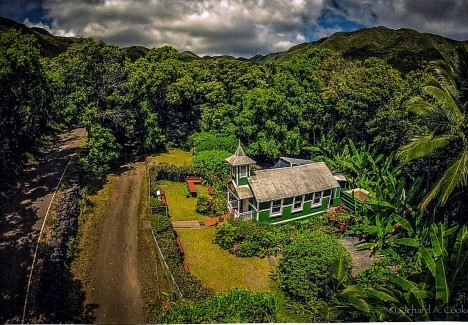 My name is Reynolds Ayau and I’m the Kahu for a little church in Halawa Valley called lerusalema Hou Church. Our little church is badly in need of replacement. Dry rot and termites have made it a total hazard. We are on the last and fifth phase of our joint efforts in renewing the “Aloha Spirit” in our community so we all can live blessed lives on Molokai. In my last article “h,” from the acronym ALOHA stood for Ha`aha`a, the quality of humility. Humility is a great quality to possess as we launch into deeper waters with the last “a” in ALOHA. “A” stands for Ahonui, which is patience expressed with perseverance.